ECAC Artwalk 2015 on October 10 from 12-6PM - Demos! Raffle! 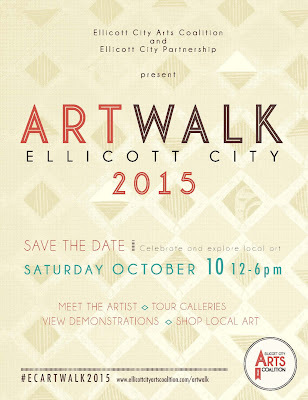 Please join me at Ellicott City Artwalk 2015, the signature event of the Ellicott City Arts Coalition (ECAC). It is free and open to all. 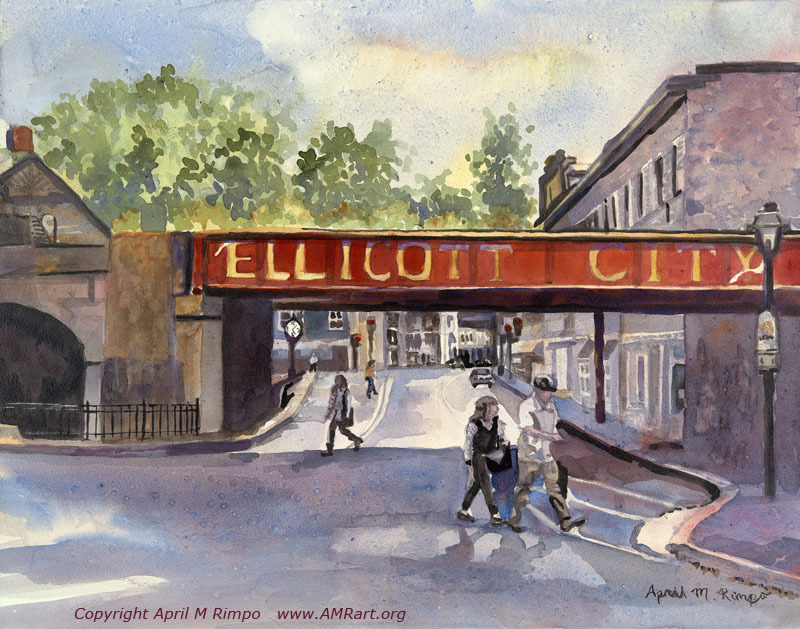 Now in its third year, Ellicott City ArtWalk 2015 has over 20 participating artists' studios, galleries, and retail venues. 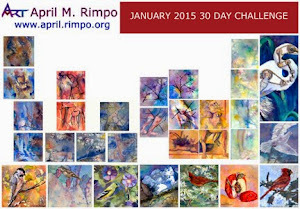 I will be demonstrating various painting techniques! I donated an 11X14 print of my popular painting "Welcome Since 1772" to the raffle. You'll see a portion of this painting in the header of the Ellicott City Arts Coalition Facebook and Twitter pages. So how does the raffle work? When you arrive on Main Street Ellicott City, visit one of the participating sites with the ECAC flag. Still Life Gallery is an Art Walk site! Pick up a Passport Raffle Ticket that lists the participating venues. The venues are in three regions: West End, Upper Main, and Lower Main. Get a stamp on your passport from at least 2 locations in each region of Art Walk, drop your completed passport (don't forget to fill in your name and email address) at the last venue you visit and you are entered in the raffle drawing. It's easy and so much fun to see what is happening at each location. Meet the Artists, Tour Studios and Galleries, View Live Art Demos, Shop & Support Local Art! Easy park-and ride with the free circulating ArtWalk Bus! 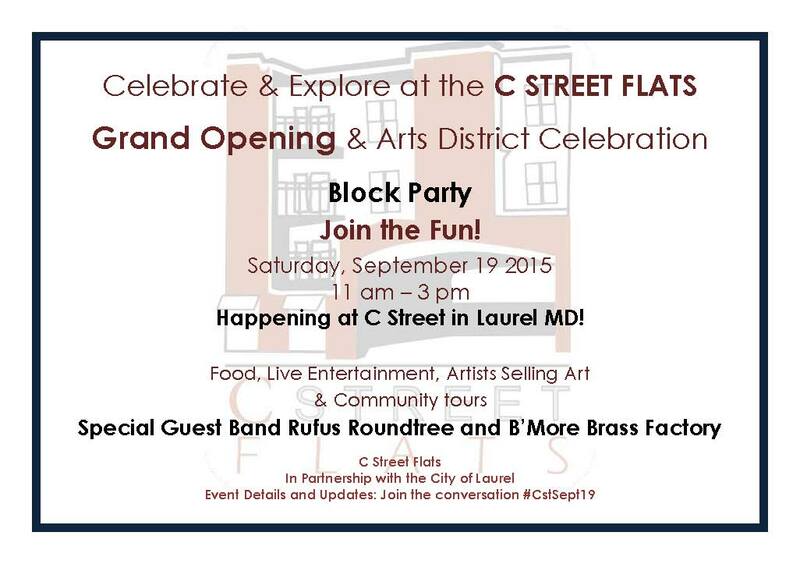 I and three other members of the Laurel Art Guild will be included in the artists participating in the C Street Fest and Block Party! 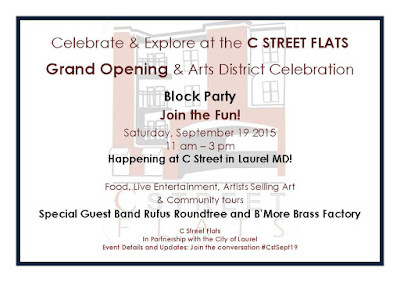 Come sharing the festivities from 11AM to 3PM on Saturday, September 19th. We'll be outside C Street Gallery. We'll have original paintings, giclee prints, cards, bookmarks all created from original artwork. I'll have several new cards for every day use and for the winter holidays. Come join the fun.